Just days before Ontario Premier Dalton McGuinty resigned so as to digress from his government’s numerous scandals and failings, his education minister and close friend Laurel Broten declared that the province’s publicly funded Catholic schools may not teach students that abortion is wrong because such teaching amounts to “misogyny,” which is prohibited in schools under the recent and highly controversial anti-bullying law. You may remember that piece of nonsense. First it lied that gay kids are perennial victims of bullying, when all studies show this isn’t true. Then it said that Catholic schools do not do enough to stop such bullying, which we know isn’t true. Then it told Catholic schools that they had to stop teaching Catholic beliefs about homosexuality. 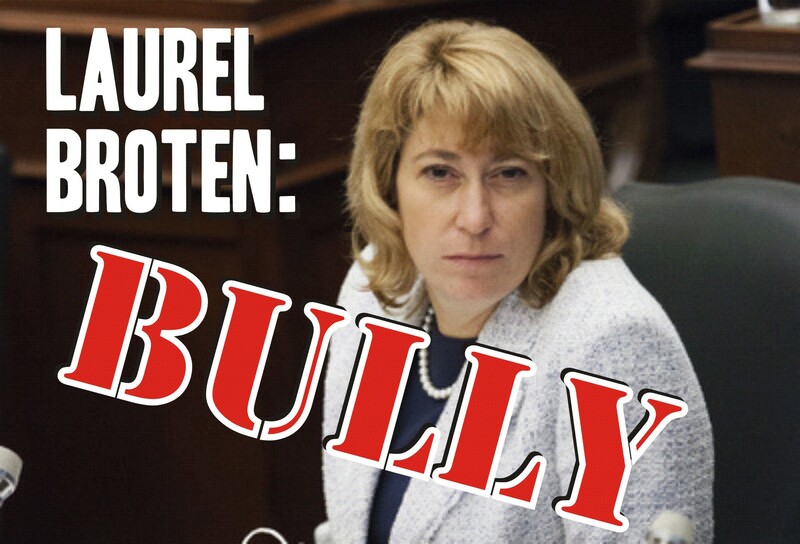 The bullying was all from the government, and in particular from Broten. She is, by the way, an ostensible Catholic who sends her children to Catholic schools. In a more muscular age she’d be excommunicated, but instead we continue with the shrill foolishness that our Catholic schools and Catholic teachers are anything more than cosmetically Catholic. “Taking away a woman’s right to choose could arguably be considered one of the most misogynistic actions that one could take,” Laurel Broten said during a press conference. This is the same politician who has recently artificially polarized and provoked the teachers and their unions, and indeed her entire record is far from glorious. When she was environment minister of all things she tried to build a four-vehicle, two-storey garage with a mechanical lift for her two SUVs, and Mercedes and Porsche sports cars. Obviously someone with her finger on the pulse of society who understands working people. She may not be a serious person, but this is a serious issue. And it’s not about whether you are Catholic or not, whether you are pro-life or not, whether you are Liberal or not. It’s about whether you believe in freedom of thought, freedom of religion, freedom of conscience, and freedom of schools and parents. It’s time we stood up to the bully. Opposition to abortion and the support of the unborn child from the point of conception is about the most important political and moral position held by serious Roman Catholics. Again, it’s not whether you support them or not, but whether you support their right to believe this and teach this, whether you believe in authentic tolerance or government command. As I say, many if not most Catholic schools have abandoned much of their Catholicity, but this would be the death blow to any genuine Catholicism that still exists. If a single, self-important woman can decide on a whim that the entire ethical philosophy and theological underpinnings of a church of more than a billion people is an example of bullying and to be forbidden to be taught, what happens next, and to whom does it happen? If you want to scrap the Catholic system, fine — campaign for it, speak for it, write for it, and if you win the battle, so be it. That’s democracy. But this is merely fiat, dictatorship, spiteful and pompous nastiness. In fact, at heart it’s ignorant bullying, and it’s time we stood up to the bully.